Obtaining the best cross-country shoes that offer you the optimum cushioning, support, comfort and stability should be your priority as a cross country runner. This is important because long-distance races may expose you to different ground surfaces such as grassy, muddy and slippery terrains. For this reason, it is vital to get a shoe that can endure it all. 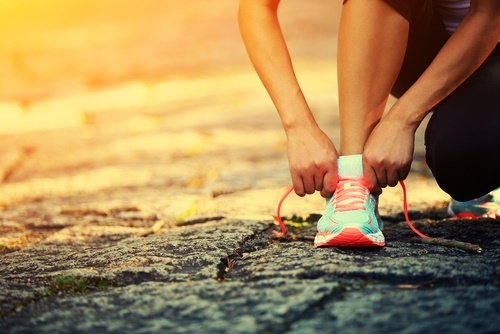 In this article, popular high-quality cross country running shoes, which will help you in making a decision for the right running shoe for you. There are so many shoe brands out there meant to serve the needs of cross country runners. But getting one that best suits you in terms of flexibility, durability, traction, and comfortability is quite tasking. For that reason, we have provided a list of great products below. This running shoe is designed to handle the toughest surfaces without stress. 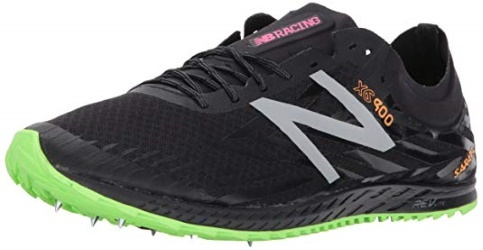 It is well fashioned to provide the best comfort, support and stability that any cross-country runner might be looking for. It comes with an anti-debris mesh upper meant to keep out pesky stones, rubbles and other fragments while on the move. The midsole is lightweight, it gives cool cushioning that will excellently rebound and also furnishes your foot with energy as you run. The molded Eva footbed will as well provide you with optimum support and comfort that you desire. 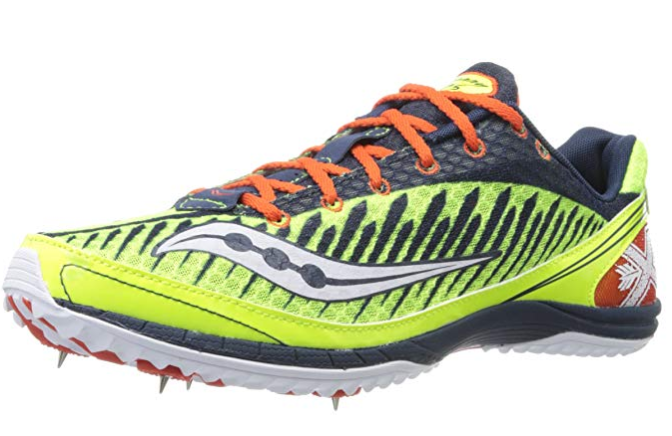 This Saucony brand is designed to provide the needed control and performance when engaging in cross country races. It has a midsole that comes with a molded EVA which offers optimum comfort and cushioning. It also features a minimally tiered upper, that is to greatest extent, lightweight and meant to fit your foot for optimum support. The snug shoe offers is deemed perfect for neutral pronators. Its versatile tread will enable you to stay on top of any type of terrain. Also, its spike is absolutely awesome, it will give you that firm traction you need on difficult surfaces while at the same time providing best stability. Its outsole is made of carbon rubber which is well known for being abrasion resistant. This shoe is another awesome running model designed by New Balance to meet your every need even on the harshest terrains. This one comes with a degree mesh upper which makes it lightweight and eases your movement while running. It also uses the FantomFit technology to allow the mesh upper fit your foot for an optimum comfort and support. Its 6-pin spike plate provides a great deal of traction on any surfaces. It is made to offer extreme flexibility which will allow your foot a full spectrum of movement. This shoe is known for its durability and its rubber sole is abrasion resistant. 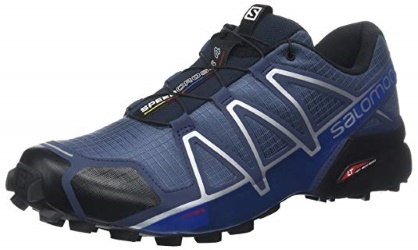 Overall, this is one of the best cross-country shoes that offer quality traction, comfortability and flexibility. 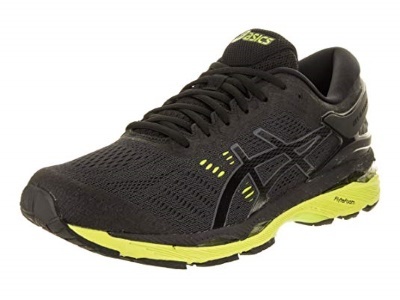 This outdoor running shoe, ASICS GEL Kayano 24 is designed to minimize strain on runners’ feet. It uses the GEL cushioning technology to shoulder impacts and at the same time, it allows you to maintain good speeds without getting worn out quickly. Runners can run in different conditions because of the texture of the outsole which enables runners to maintain stability. This brand comes in a variety of colors from which you can choose to fit your style. It features an integrated system that directs your gait for stability and energy efficiency. Above all, its multiple integrated systems enhance your comfortability and endurance over long distances. It is well sculpted to assist runners with foot issues. This model from Adidas is termed one of the best cross country running shoes for athletes on the market. It comes with supportive and reinforced soles that enable runners to cover different types of terrains by providing required grip and shield to run swiftly. The outsole, midsole and the mesh upper are produced with breathable materials to make your feet comfortable when on the move. Runners’ ankles are supported on difficult terrain by the high-top design. The Supernova Riot M is ultimately designed to help runners conserve energy while embarking on long distances. This super shoe is made with those who need extra wide shoe and support in mind. It comes with a thicker cushioning than an average running shoe available out there. Although it has some weight due to its thick cushioning, it can optimally absorb shocks to prevent unnecessary stress on the feet. It has a snug fit that makes it well molded on wearers’ feet with great stability on the ground. It uses the REVlite tech to provide adequate cushioning which has lesser weight than other options that provide support. Its mesh upper offers improved comfortability because it is made from breathable materials. 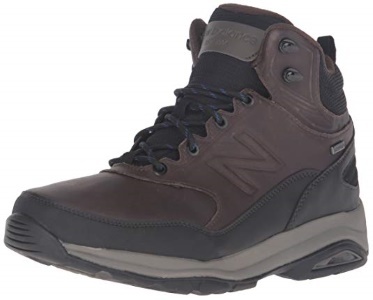 This New Balance model is designed to provide the extra support required by those folks with wide feet and to help manage all types of foot conditions. It is properly reinforced to be usable on all terrains by providing a solid support. 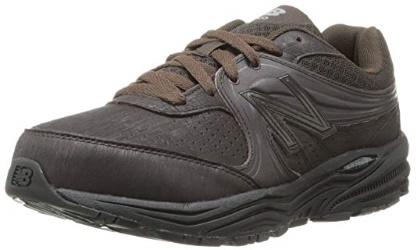 While running on rugged surfaces, this New Balance 840 will offer you great ankle and foot support. This lace-up walking shoe provides mesh collar and tongue to make you comfortable. It is made of a sturdy design and thick materials that ensures durability. It keeps your feet comfortable thanks to its properly-positioned arch support. This Saucony brand is cross country shoes that is designed to be used on any terrain. Your feet are kept cool and dry by the mesh and synthetic upper which offers your shoes a great deal of breathability. With this superior quality shoe, you are sure to receive that snug feel from its fabric inner lining. To give runners an extra level of comfort, its tongue and collar are a bit padded. Its comprehension molded EVA midsole coupled with the molded foam foot bed works to provide you with sumptuous comfort and support by keeping your foot stable and well cushioned. Its outsole is made of XT-600 carbon rubber which ensures you have a durable, lightweight and flexible running pair. This well-designed shoe is made to give excellent performance. Mach 16 is engineered to be lightweight, durable and comfortable for cross country runners. Its 6mm spikes is able to provide perfect grip even on slippery grounds. It uses its full-length comprehension molded EVA midsole to offer optimum cushioning which ensures adequate comfort for the runner. This new Nike model is a new entrant among cross country shoes. It has different key features that enable it to be a good performer on difficult terrains. One of such features is the water-resistant upper which allows comfortable running in wet conditions. You will be provided with excellent flexibility and grip with its flex grooves, waffle outsole. In addition, its upper is of hydrophobic mesh material that repels water. In that case, it helps keep the foot cool and dry. It also offers a wider forefoot that allows the toes to naturally splay. Breathability – Cross country running is tasking on the feet. In effect, it makes them sweat like any other parts of the body. Therefore, shoes that allow airflows through the upper layer keep the feet cool and dry. Thus, this must be a priority. Protection – Cross country races expose runners to all sort of obstacles such as rocks, slippery surfaces, logs and muddy terrains. Under those circumstances, it is very imperative that you choose a shoe that offers firm traction, snug feel and cushioning. 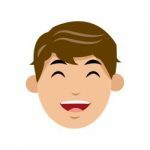 Flexibility – This is an important factor to consider. This is because it determines how naturally your foot can move, as well as how much support it provides while in motion. Thickness – This relates to the outsole and its effects on ground contact. Shoes with optimal thickness should be thick enough to offer protection and comfort while also allowing natural movement of your foot. Width – The width of the toe box should be roomy enough to allow your toes to move and pan out freely. 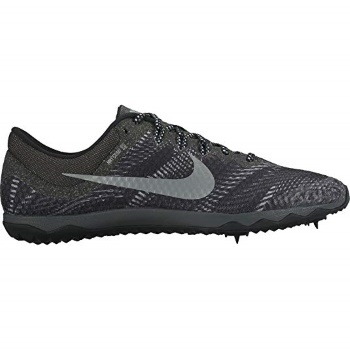 Durability – Cross country races require shoes that can withstand harsh weather condition. 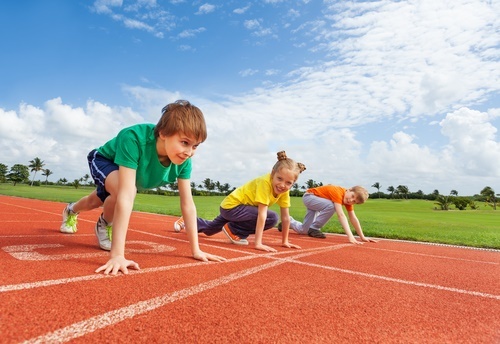 Thus, your choice of running shoes should be durable, so that you can use it for long periods of time. As shown above, cross country races are quite tasking on the foot and ankle. 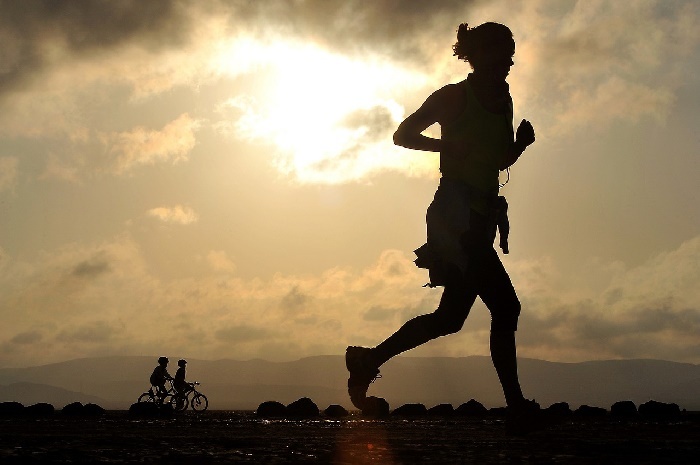 It is, therefore, necessary you ensure to equip yourself with a pair of running shoes that withstands harsh terrains. Such shoes should be able to offer you maximum support, firm traction, excellent flexibility and comfort. 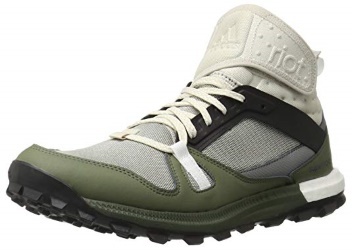 The brands reviewed in this article are of the best quality among their pairs and one of them may just be your savior on those rugged terrains.